Home / Fanboying! 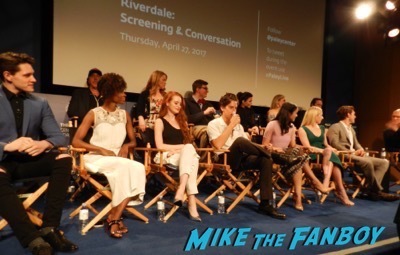 • Featured / Riverdale Paley Center Panel! Meeting KJ Apa! Camila Mendes! Lili Reinhart! Luke Perry! Cole Sprouse! And More! 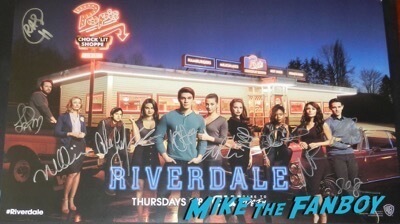 Riverdale is the new CW series based on the Archie Comics characters. It’s a subversive look at the classic comics and one of my favorite guilty pleasures this season. 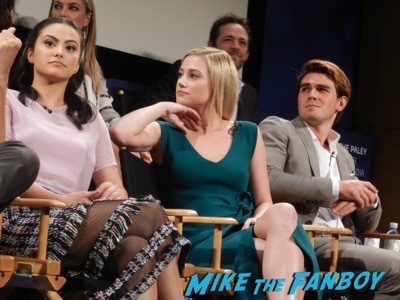 The cast got together at the Paley Center in Beverly Hills for a rare q and a and screening. 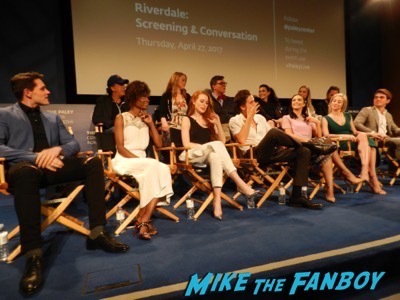 It was a great panel and I have to say for having so many participants everyone got a chance to speak and talk about the series which was nice. The characters and their parents have a great dynamic on the series. “We got lucky, for me I’ve had the pleasure of working with so many actors and the first time I sat down with KJ it was just good. We could have shot the series right there.” Laughed Luke Perry. The panel did discuss the issue of diversity on the panel. “I’ve got a wonderfully positive reaction across the board. Everyone has been so kind. We’ve had fun doing it too.” Said Casey Cott. The classic characters of Betty, Veronica and Archie were given a makeover for the series. “I love playing a character who evolves and that who can show so many different sides to them. My favorite thing is that she’s constantly changing, there’s no finish line.” Said Lili Reinhart. After the panel the usual rush to the stage happened. 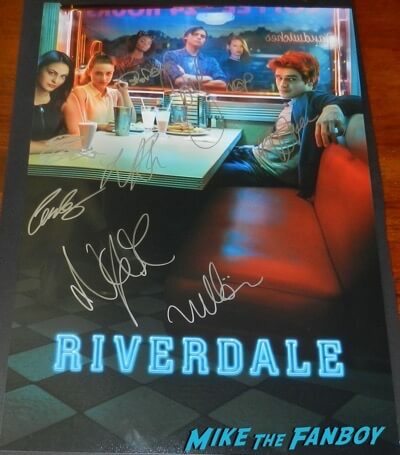 I was lucky enough to get the cast to sign two posters as well as get Casey Cott and Madelaine Putsch to finish the Wondercon poster from the signing. 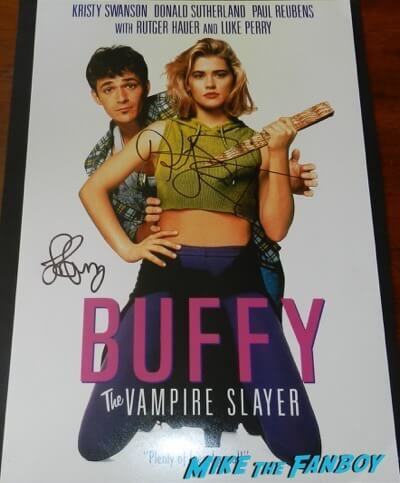 I barely managed to get Luke Perry but he did sign my Buffy The Vampire Slayer poster which made me happy. The cast was very nice and kind stopping to sign for everyone. I ran out before the cast which is super rare! Rachel McAdams Goodness! I Grab My Notebook After Meeting The Spotlight Star Along with Sacha Pfeiffer! Autographs! And More! 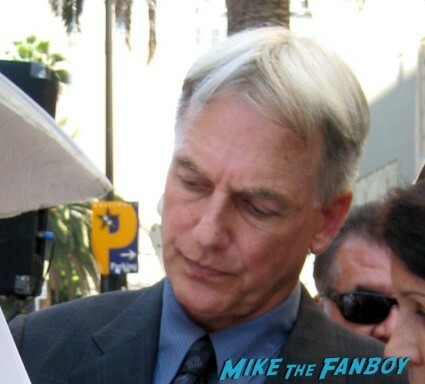 Mark Harmon’s Walk Of Fame Star Ceremony Report! With Pauley Perrette! Rocky Carroll! David McCallum! Sean Murray! Cote de Pablo! Michael Weatherly! Brian Dietzen! Adrianne Palicki is Running Around the Streets of Hollywood in her New Wonder Woman Costume! 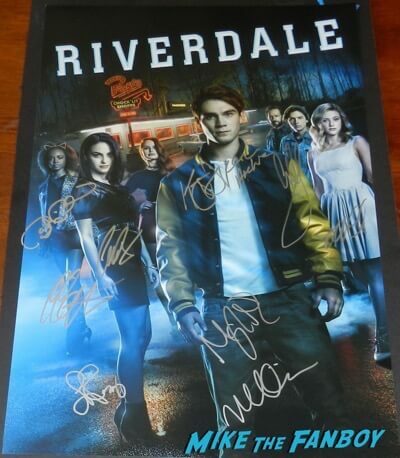 Hi 🙂 Are you selling your Riverdale cast autographs?